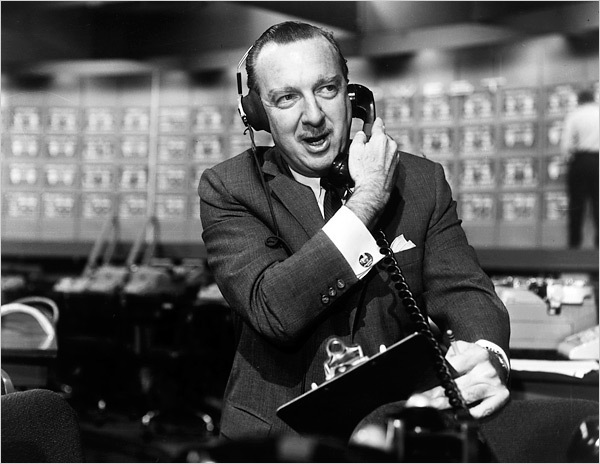 Walter Cronkite, the veteran US newsreader described as "the most trusted man in America", has died at his home in New York at the age of 92 from brain disease. If you find it hard to get a job, get promoted, make friends, get dates, it is probably because you have no credibility. Here are 6 steps that you can take to establish credibility. 1. Always tell the truth, ie. NEVER LIE. This should go without comment, however I have personally witnessed outright lying at all levels. If you want to be taken seriously, you must tell the truth. The whole ugly truth. The truth will always be uncovered eventually. Don't pull a Clinton who diminished the reality with a truthful but misleading statement. I have found tremendous success in telling the most ugly, naked, undefiled truth. Followed by some ideas on how to make it better. You will never succeed long term by telling lies. Some people will despise you for being a goody-goody but no one will question your integrity. 2. Get back to people. Return emails, return snail mail, twitter requests, voicemail, return phone calls, SMS (texts), etc. Make it a point to always reach out to each individual person who contacted you. When you do not know the answer to a question, get back to them. Why are people afraid to say they do not know? Usually because they did not do their job and are unprepared. They lie in an attempt to cover up their failing. Just answer that you will get back to them. Go find out the answer and then let them know. Get to work at the same time, take lunch at the same time and wear the same thing every day. Establish a pattern of reliability. People will come to trust and rely on you if you are predictable. Credibility is just the next step. Deliver your assignments on time, not the day before or the day after. Deliver what is expected. You can enhance this ability by volunteering for assignments then delivering them. Make a point to verbally accept the assignment and the date, follow up with an email. Soon, you will be the go to superstar on the team. There is not one person in the world who does not have something to say. Listen to them and they will tell you everything. Listen to them and you will become their best friend. Listen and the world will open up to you. Remember it is not important what they say, or how they say it. Listening is important because you are investing in them as a person. 6. Bonus: To get noticed think like Houdini and add a little sizzle to your deliveries. Houdini was the greatest illusionist of the modern times because he learned how to create anticipation in the audience and then deliver. He always delivered. Every time, without failing. At the beginning of his career he would execute a string of complicated tricks flawlessly but to an uninspired audience. Then he learned how to create anticipation and with his execution and showmanship became famous. Get noticed by creating anticipation, then deliver. Hint: The common thread in these tips is focus on the other person, not yourself.